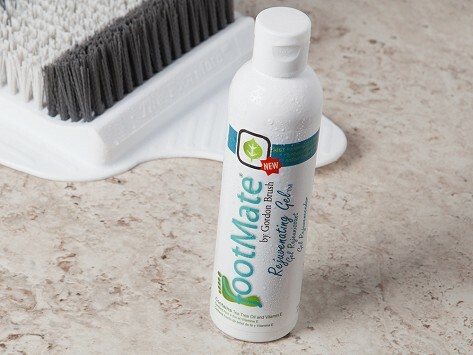 Soften and soothe tired, dry feet with FootMate’s Rejuvenating Gel. The cleanser contains tea tree oil, which is a natural antiseptic, and aloe and Vitamin E to moisturize and help heal minor cuts. This foaming gel is gentle enough to use daily to combat foot odor and thoroughly clean your feet.